Mega Fortune slot machine was released way back in January 2009 and it remained a popular online slot ever since. The animated gameplay offers players the chance to witness what life would be like if they were rich and famous, thanks to images of the high-life featured on the reels. NetEnt is the brain behind this video slot and it can be played at online casinos from as little as 0.25 a spin! High rollers can splash the cash with bets of 50.00 per spin, in the hope of landing bigger cash rewards. Bonus features are set to wow you and include free spins, wild symbols, scatter symbols, multipliers and of course – that all important-progressive jackpot bonuses. Accessible across all devices, Mega Fortune slot does what it says – produces mega fortunes to those who are lucky enough to trigger the Mega Moolah jackpot feature. Players have the possibility of winning one of three jackpots, which tick over nicely as you play – as soon as the slot is ready to pay, you will be granted access to the big bonus – where a spin of the wheel can produce life-changing cash jackpots. Why is the Mega Fortune slot so special? There are 4 million reasons why Mega Fortune, a big progressive jackpot game from NetEnt, the heavyweight Swedish champions of the online video slots world, is so popular and special. That’s the top jackpot from this machine, which was most recently won at the time of this writing in October 2018, when a German journalist spun his way to gold. The reported theoretical return to player on this game is 96.4%, and despite the huge main prize, the games variance is “low” – that means it delivers smaller wins relatively more often than bigger wins with longer waits between them. That combination of a massive progressive top prize and regular wins is proving hugely popular with players. A lot of games try to dazzle you with graphics and sound effects. But NetEnt has kept Mega Fortune pretty simple, with a 25 pay-line set-up on a five-by-three grid. The game isn’t without bonus features though, including a free spins round that comes with a 5x multiplier on wins. Then, of course, there is the massive top prize, delivered via a progressive jackpot that networks players around the world. That’s competed for via a Wheel of Fortune game that builds up through three reels to the massive prizes – imagine the excitement of that! 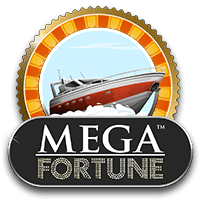 Mega Fortune slot has playability, a touch of glamour in its theming (around high rollers and the high-end lifestyles that you might enjoy if you hit lucky), and a huge top prize to recommend it to players. You’ll see Mega Fortune at a load of online casinos, and, with progressive slots, it is actually true to say that the more you play the more likely someone – and it could be you – is to win a really big prize. Check out Mega Fortune for free and then head to your favourite Mega Fortune casino site and give this NetEnt winner a spin. Mega Fortune is available as a demo, but why should you play for free? A substantial number of players choose to play for free to get a better understanding of how the game is played. Why put at risk your capital deciding if you like the game or not? You can play free Mega Fortune without spending any money and you can see how long it takes for the features to appear and you can even experiment with bet values, to get the right bet to suit your budget. The rich and famous can have the finer things in life with no questions asked. Yachts, diamond rings, mansions, super-fast cars – you name it, they have it! NetEnt has devised Mega Fortune to resemble a rich slot with images showing what you could buy if you win the progressive jackpot. The 5×3 reel formation is encased is solid silver and behind the reels, you will be able to take in a view of a harbour – a yacht harbour. Dazzling lights and palm trees sit on the shore, but you won’t be able to take your eyes off those all-important progressive jackpot meters, sitting pretty to the top of the screen. The soundtrack is a chilled one and will relax you as you play, but of course, if you prefer something more upbeat, you can mute the sounds and play your own tunes! The yacht; awarding the maximum base game win of 10,000 coins. The limousine awards a top prize of up to 1,000 coins. Keep your eyes on the dollar bills wrapped in gold; as this award up to 500 coins. The diamond-encrusted watch has a top prize of 300 coins. The swig or brandy and smoking cigar award a top prize of 200 coins. Gold ring displaying the card value A offers up to 150 coins. Silver ring with the letter K has a top prize of 125 coins. Spin in a win line full of golden Q rings, to trigger a 100 coin payout. Finally, the silver ring with the letter J will award a 75 coin prize for a 5 of a kind combination. Not only does the yacht award the maximum base game win, but the yacht is also the wild symbol; replacing all other symbols (bar scatter and bonus) to help create a winning combination. 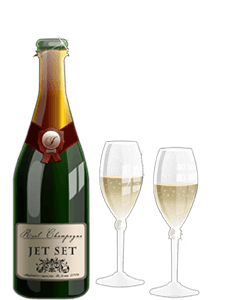 The scatter symbol is the champagne and flutes icon; two will award a scatter pay, but three or more will trigger the free spins bonus. When three or more scatters appear across the reels, you will be required to pick one of them – this will then show you the number of free spins and multipliers you have been granted. Two or more scatters during your free games will allow you to pick again – with the option of an increasing multiplier or additional free spins. The star of this slot machine is the bonus game, because this is where you can win big, big cash! Three or more bonus wheel symbols falling in succession from left to right, on an active win line, will start the bonus game. A new screen will appear and a giant multi-coloured wheel will appear. The bonus wheel has three sections; the outer, inner and centre reel. The aim of the game is simple: reach the middle of the wheel to win the MegaFortune Jackpot! Let’s not run before we can walk – first of all, you need to get that wheel spinning; you can either click the stop button when you feel like it or allow the timer to auto stop in 20 seconds. The outer wheel features prizes ranging in value from 100 to 300 coins and in between each of these is an arrow to progress into the inner wheel. Land on an arrow and you will get the chance of winning one of those progressive jackpots. On the inner wheel, the coin values increase from 300 to 700 and again, there are arrows to enter into the middle wheel. Land on the rapid symbol on the middle wheel to win the smallest of the progressive jackpots. Now, you ready to learn how to win big? The middle wheel is where the fun begins! The wheel has coin values of; 2,500, 5,000 and 7,500 to be won – and of course the major jackpot and a final diamond-encrusted arrow – land n that and you’re guaranteed the biggest progressive jackpot of them all! Mega Fortune on mobile allows players to enjoy a more comfortable and convenient way of playing, but the gameplay, pay outs and layout remains the same. Instead of having a big green button to spin, the spin button will be placed on the rightmost section of the screen. Progressive jackpots are displayed a little differently too; instead of three pots, there is one, but it will filter between each pot to show you just how much can be won. Mega Fortune is known around the globe for its life-changing payouts and big prize potential, so we can’t see it disappearing from our screens any time soon. To date, the biggest-ever win triggered was in 2013, when a lucky punter scooped a jaw-dropping €17,861,800 in cold hard cash and guess what – he was playing with a spin of just 0.25! You don’t have to bet ridiculous amounts per spin to win big and the 2013 winner was proof of that. As far as bonus features go, the free spins are not as exciting as the bonus wheel, but you can find some big cash lurking on the reels. When we played, we managed to trigger a total of 50 free spins in just one feature and a multiplier of 10x, which resulted in our 10.00 stake, turning into a generous 3,350 in cash. Don’t get too excited when that bonus game drops, because you’re not guaranteed a jackpot – but what you are guaranteed is an enjoyable gaming experience with plenty of ways to win.